Welcome to the neural network explorer! This site includes interactive visualizations of how neural networks learn how to classify data. 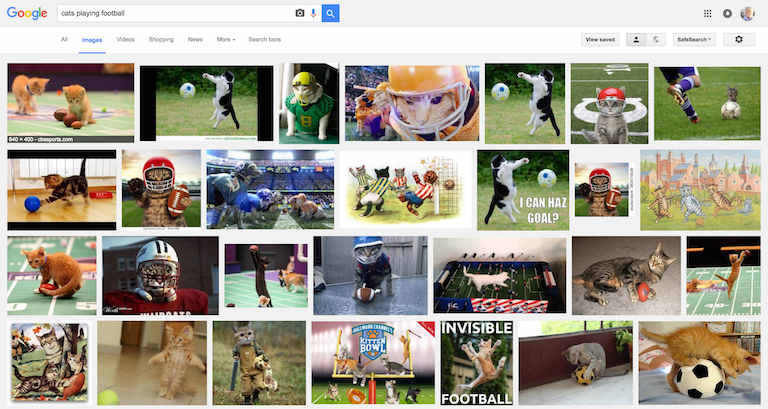 Image is a screen shot of a Gooogle image search for "cats playing football". Another popular task for neural networks is learning how to forecast serially dependent data. The most common applications of this task are to language and music. In this app we explore how a recurrent neural networks learns from and creates new music.